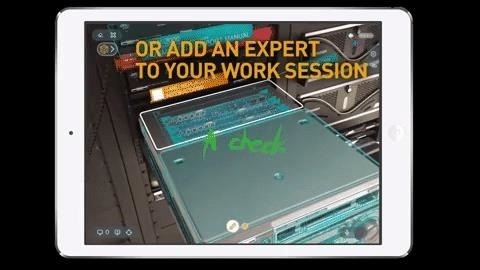 Announced at the Augmented World Expo (AWE) in Santa Clara on Thursday, the merged app brings together Remote AR, a live video augmented reality support app, with WorkLink, the company's guided smart instructions solution. Rather than swap back and forth between the apps, users can now press a single button to access the functions. Having trouble understanding a job workflow? Call a colleague from within the app. Likewise, experts assisting frontline workers can refer them to instructions during a call. 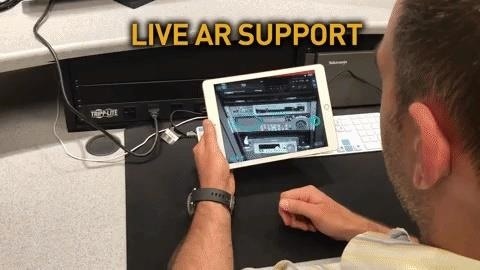 "The ability for workers to connect in real time with an expert to get the remote assistance they might need while also having access to rich, animated step-by-step AR instructions in one, unified interface truly has the potential to transform the way people work, while also saving companies valuable time, resources and significant costs," said Scott Montgomerie, CEO and co-founder of Scope AR. "With our newly integrated platform, we are thrilled to address a common request we receive and offer our customers an even better AR experience." Even before the merging of app functions, Scope AR customers have realized substantial cost and time savings from implementing the productivity apps. One customer, Unilever, has reported a 50% reduction in downtime and a calculated savings of nearly $80,000 per month using Scope AR's tools. "With Remote AR, you are able to see first-hand what the issue is and where possible are able to provide instruction to operators, technicians, and engineers in the field to resolve the issue without traveling to the site," said Geraint Hughes, senior IT manager at Unilever. Lockheed Martin has also seen drastic improvements in time spent on tasks and training since using Scope AR's software. Its space division reports that the WorkLink app has decreased the time to interpret work instructions for building spacecraft by more than 95%, with training time and errors also reduced. "The ability to easily use the product across platforms means that anyone on our team, including our interns, can take advantage of AR to build and use manufacturing instructions quickly and accurately," said Shelley Peterson, an emerging technologies lead at Lockheed Martin. The converged apps will be available for iOS, Android, and Windows, including HoloLens, over the next few weeks. In the meantime, the company will also have the app on display at their AWE booth this week.